Did you know that most of the homes in America that have sprinkler systems, use 50% or more water per household to irrigate their yard? Thats a lot of water! If we are able to save water with these sprinkler systems that amounts to millions of gallons saved every day. I will touch on one way the homeowner can help save water and therefore money. Over the years I have seen the Rainbird Sprinkler Co. go to great lengths to help our industry provide water saving tips and products for our customers. I will touch on just one area and that is rain sensors. 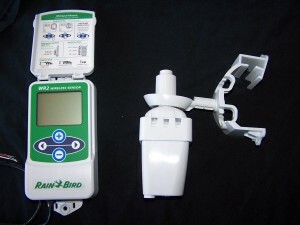 Rainbird makes three different rain sensor / rain shutoff accessories that disable our lawn sprinkler system from watering during or after a sufficient rainfall. Listed below, I will discuss the differences, the ease of installation, and some difficulties that you may come across during installation. 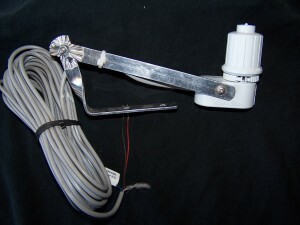 The first is the RSD – BEx Rain Sensor (Rainbird). T his sensor has moisture sensing disks that soak up the rainfall to determinewhen to disable your sprinkler system. It has multiple rainfall settings from 1/8” – 3/4” that are easy to set. 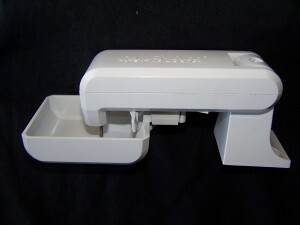 It has an adjustable vent ring that helps control drying time. This can be used with almost any controller on themarket old or new. Hint: if you have a old controller that has no connections for the rain sensor, cut your common wire at the controller connect one wire from the rain sensor to it and connect the second wire to the other cut common wire. Rugged, last for several years although the water absorbing disks may rust and/or wear out. The wire that comes with it can be hard to hide, not long enough at times, and needs to be hung on the side of the house most of the time. Sometimes your soil (depending on your type) will dry before the absorbing disks dry. Next is the Rain Check (Rainbird). This automatic rain shutoff sensor catches rain water in a collector pan and the stainless steel sensing probes trigger the shutoff. The stainless steel probes adjust down into the collector pan to measure rainfall and can shutoff the system with as little as 1/8” rain fall. The water in the collector pan evaporates and the sprinkler system will run again. Works with almost all controllers. Has the same problems with wiring as the RSD – BEx. Collection pan dries out fast after shutdown. Needs to be cleaned more often especially if you have a lot of trees. I have seen strong winds blow the water out of the collection pan so take note of where most of your strong winds blow from during the summer when installing. Last is the WR2 Wireless Rain/Freeze Sensor. Wireless sensors have come along way over the years and there very reliable know. This one will automatically sense rainfall and temperature events. It has a rainfrall indicator with 6 rainfall set points from 1/8” to 1/2” and will illustrate approximate amount of rainfall relative to the rainfall set point. Select from three set points for the freeze sensor. You can also suspend irrigation. You will need to read all of the instructions during installation. I personally like this one the most. Do not have to hide any wires. Needs be cleaned once a year or more. Need to change the battery every year. Read all of the instructions. It runs on 24 volts so it needs to be wired to the controller for power. Do not place sensitive electronics in close proximity to the controller interface on sensor. You may need to protect electronic devices. 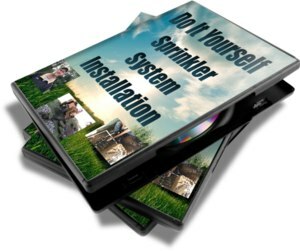 Are you tired of paying for Sprinkler Maintenance & Repairs? Thanks, you article is helpful but I have a question. One the wireless unit, the outside sensor uses some sort of electrical power, right? If so, how does it get power? Does it have a battery inside the wireless unit that hangs outside? Yes the wireless unit has a battery, the others are powered by the controller.